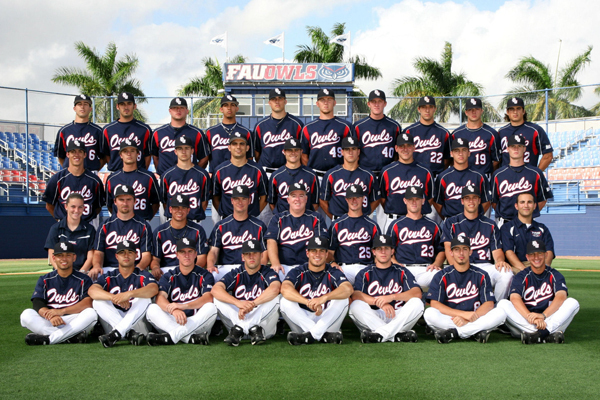 FAU Sports Informer: Baseball Season is Upon Us! The time has come for the FAU Baseball team to hit the field, and boy did they 'hit it'! 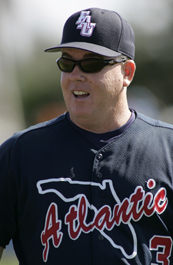 FAU started off the season against SEC's University of Alabama with Coach McCormick in search of his 100th win. The team didn't wait long to get Coach this win as they dominated the Crimson Tide in a three game sweep in Tuscaloosa, FAU's first sweep since 1999 when they played the Wildcats of Kentucky. FAU was the first team in 11 years to sweep Alabama, and the first in 113 years to sweep the Tide at home. Also, the Owls forced Alabama to start the season 0-3, which hasn't happened since 1952. If that's not enough significancy for you, the Owls also brought home some national recognition from this sweep! Florida Atlantic players won two Sun Belt honors given out on Tuesday for this past weekend's performance. Alex Hudak, outfielder, was awarded with the Sun Belt Player of the Week as he went 6 for 12 with 7 RBI's against the Tide. Hudak concluded the series with two home runs and 5 RBI's, which helped the Owl's leap to victory for the final game of the series. Pitcher, Ryan Garton, was awarded the Sun Belt Pitcher of the week while winning the first game (5-2) of the 2012 season for the Owls. Garton kept the Tide to just three hits and one earned run, while striking out 7 and only walking one. Garton earned the number one starting spot in the rotation and it looks like he will stay there for awhile. The Owls baseball look to impress the FAU fans as they come home on Friday as they play Manhatten in their stadium that was just recently fixed up and looks much better, thanks to some new exterior banners. With this great start, we hope to see another winning season by Coach McCormick and his boys this year!